AdamMaleBlog - Gay Culture, Art, Music, Humor, and more! : Monday Morning Dance Party: Francesco Rossi - Godspeed You Feat. Ozark Henry (Rivaz Rework) - FREE DOWNLOAD! Monday Morning Dance Party: Francesco Rossi - Godspeed You Feat. Ozark Henry (Rivaz Rework) - FREE DOWNLOAD! 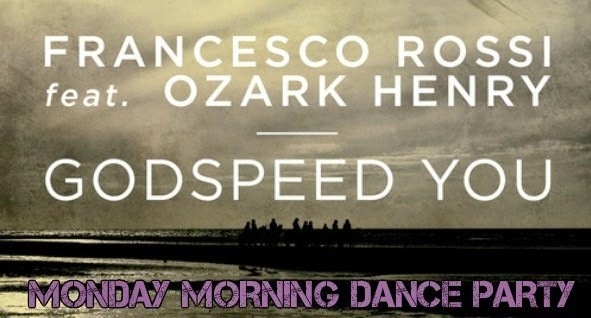 Francesco Rossi joins forces together with MTV Europe’s Belgian Artist Of The Year nominee Ozark Henry to deliver his NEW Single "Godspeed You." This track was reworked (not fully remixed) by DJ Rivaz! Enjoy the free download!